Dan Peterson Illustrator, Cardiff, Wales, UK » Who is . . .
Dan Peterson studied art at the Cardiff School of Print and Cardiff School of Art and Design. He has worked as illustrator and designer for over twenty five years. In 2011 he accompanied the British Army to Helmand Province as an Official War Artist and is the artist behind the first pack of Welsh Political Figures collectible playing cards. 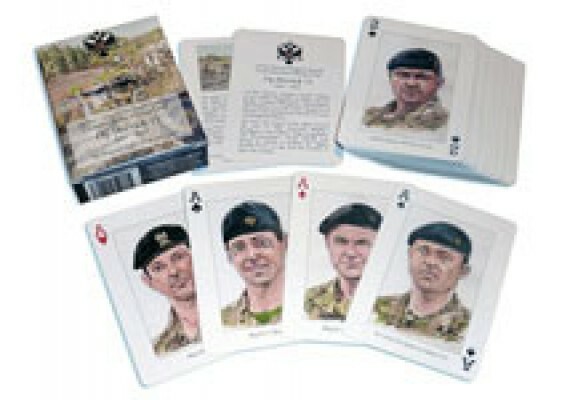 The Queen's Dragoon Guards Herrick 15 Collectible Playing Cards and the original portraits that Read more!